1. 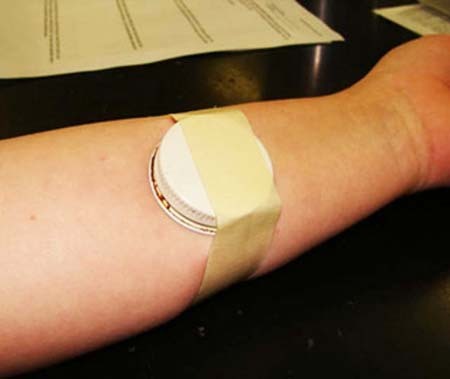 Obtaining arm plate sample of normal flora on skin; 2. 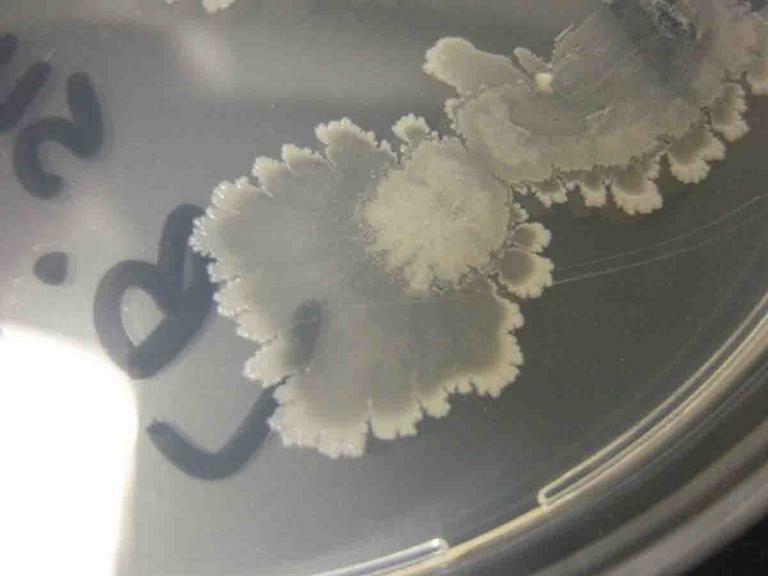 Normal flora bacterial sample from an arm plate; 3. 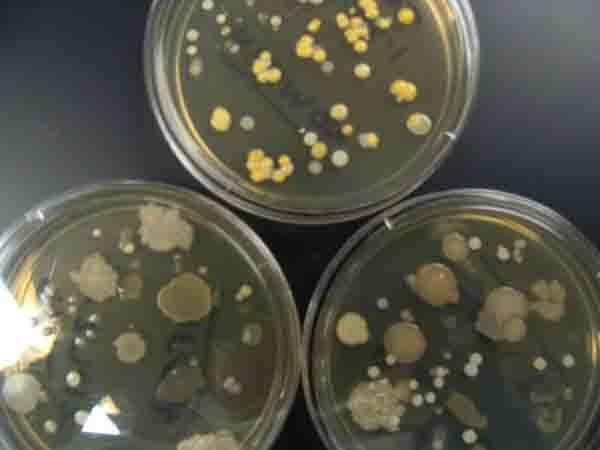 Close up of normal flora bacterial colonies from arm plate sample; 4 & 5. Touch plates, far shot & near. 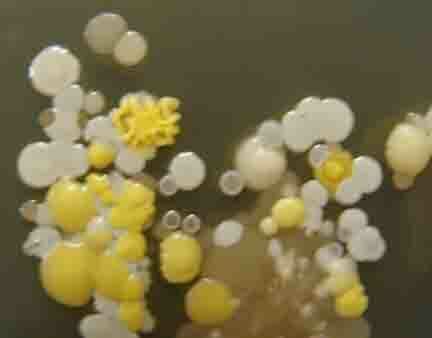 Tpo plate is unwashed hands, bottom left, washed, bottom right scrubbed soap & alcohol. 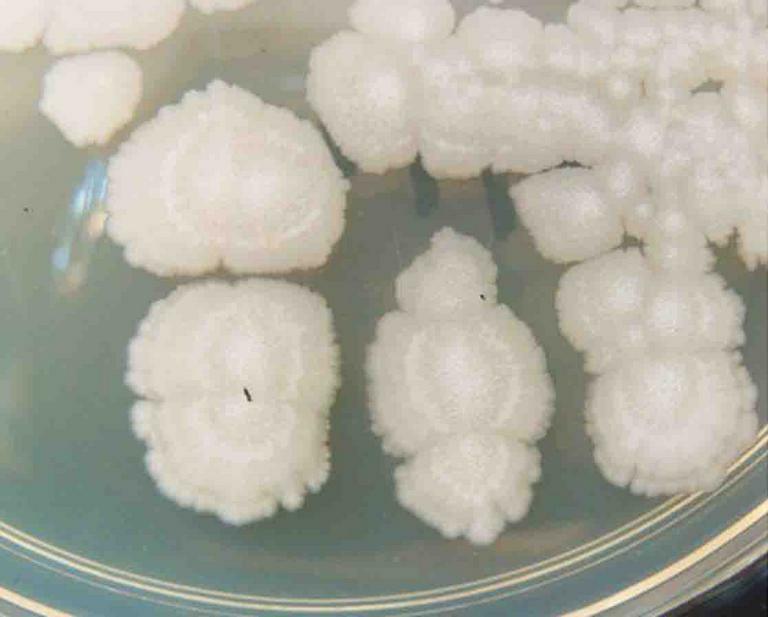 bacterial colonies grown on TSY agar. These bacteria hare heavily flagellated, so can move. 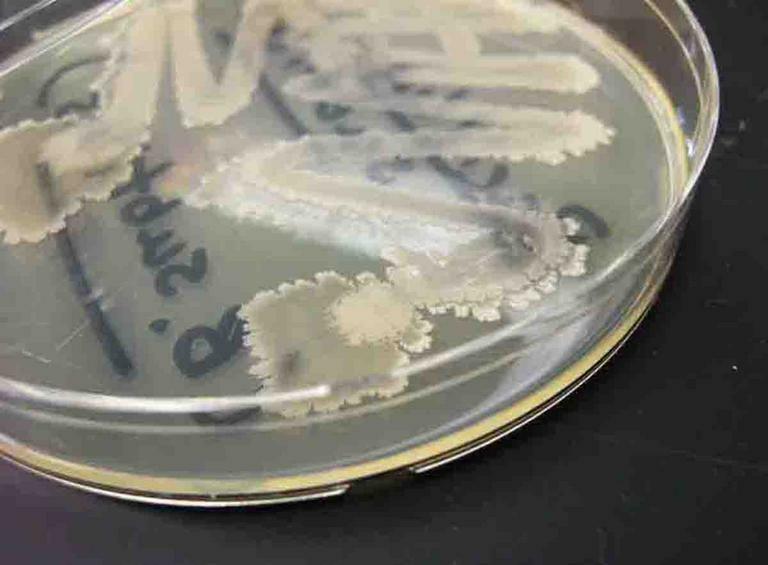 See how colonies spread out in lobes. 1. 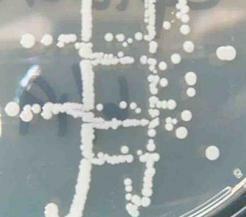 Micrococcus luteus colonies growing on TSY agar; 2. 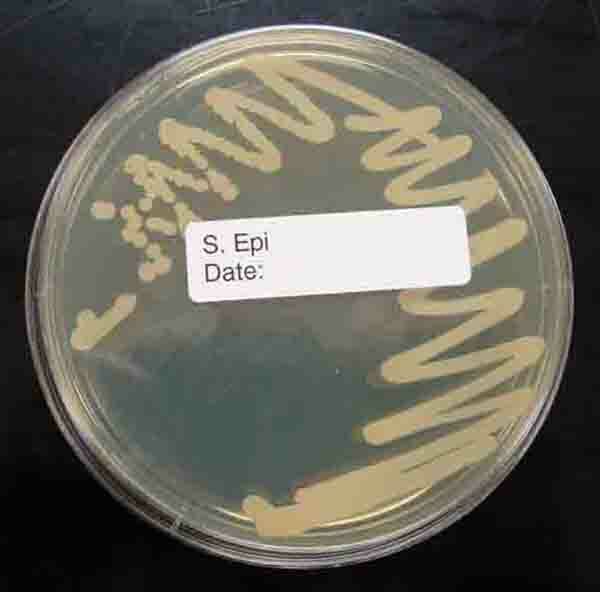 Streak plate of M. luteus colonies growing on TSY agar, 3, 4 & 5. Arm plate of normal flora of skin. 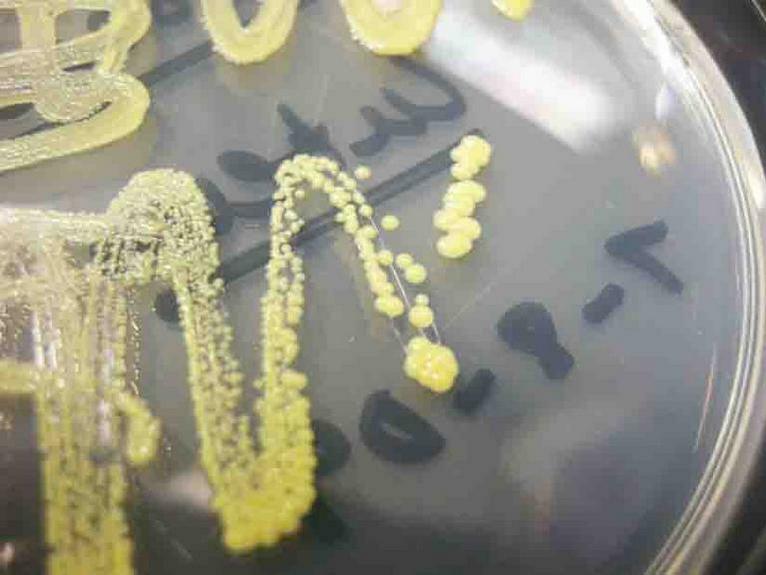 Creamy yellow round colonies are Micrococcus. 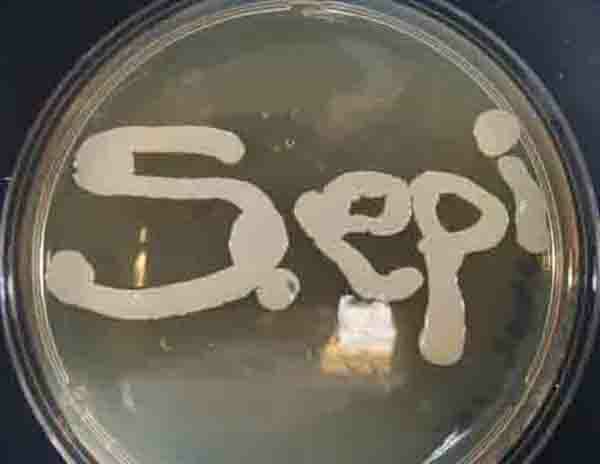 The Microbiology Photo Image Library is the largest photo collection on the SPO site. To help you more easily find what you are looking for, select the "see more" link of the sub-topic below that corresponds to your interests or use the "Search" box. The SPO Science Image Library is a continuously growing collection of copyright- free science photographs. If you use one of our free, low-res images, we just ask that you give us credit and provide a link to the SPO website (scienceprofonline.com). Click on a photo to enlarge it. To save a photo to your computer, right click on it and select "Save". Does the automatic dishwasher sanitize dishes? Yes! 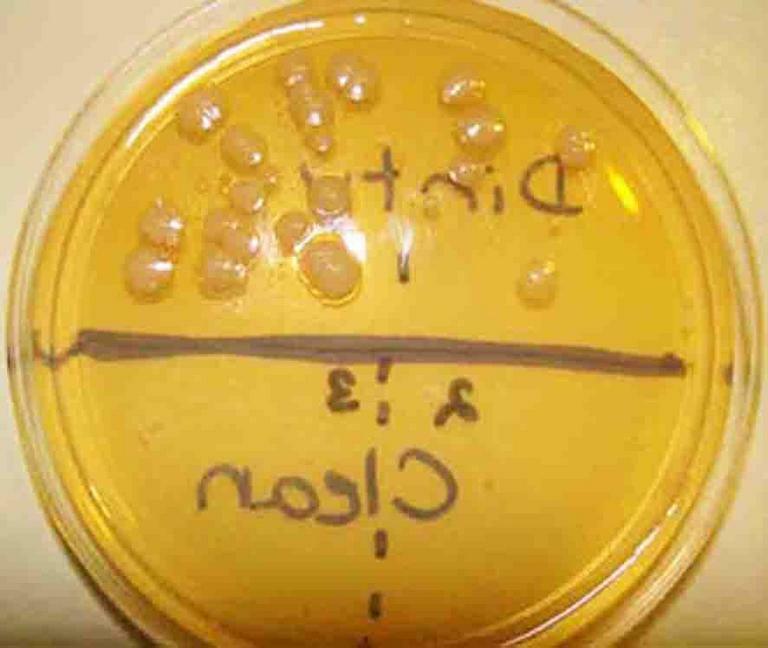 TSY agar with sample from dirty dishes on top (note bacterial colonies that grew), and sample from cleaned dishes on bottom. See Page 2 for more photos of bacterial colonoes, including Mycobacteria and Gram-negative bacteria! 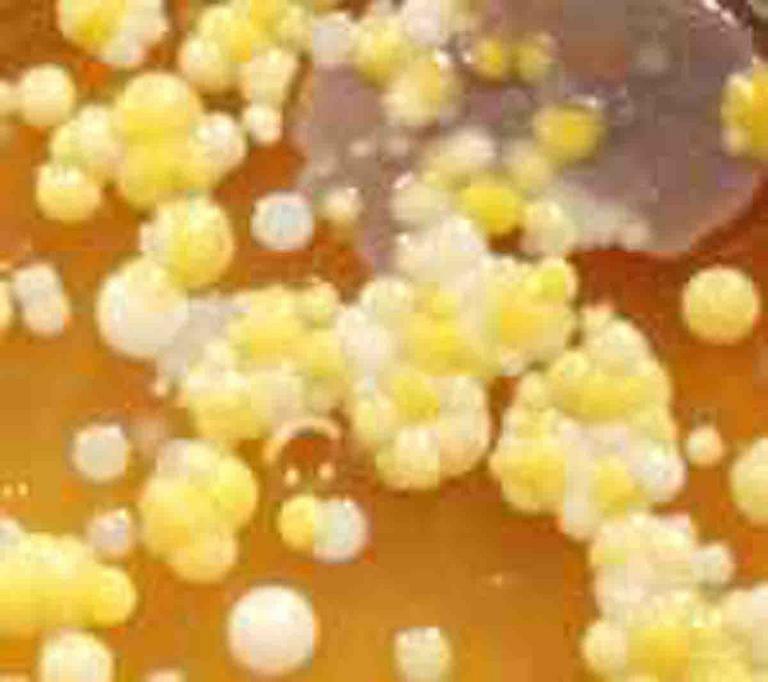 Left: Punctiform, creamy white Staphylococcus bacterial colonies on TSY. 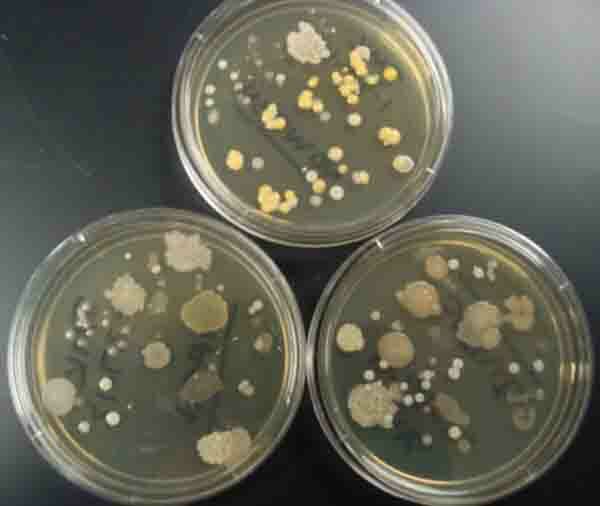 This page features colonies of epidermal normal flora bacteria and bacterial colony morphology of mainly Gram positive species. 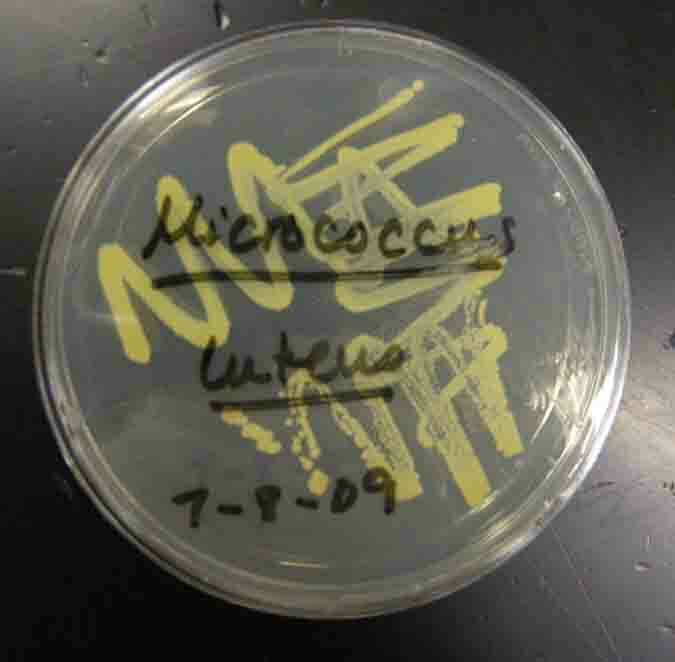 Gram-negative bacterial colonies growing on MacConkey's agar. 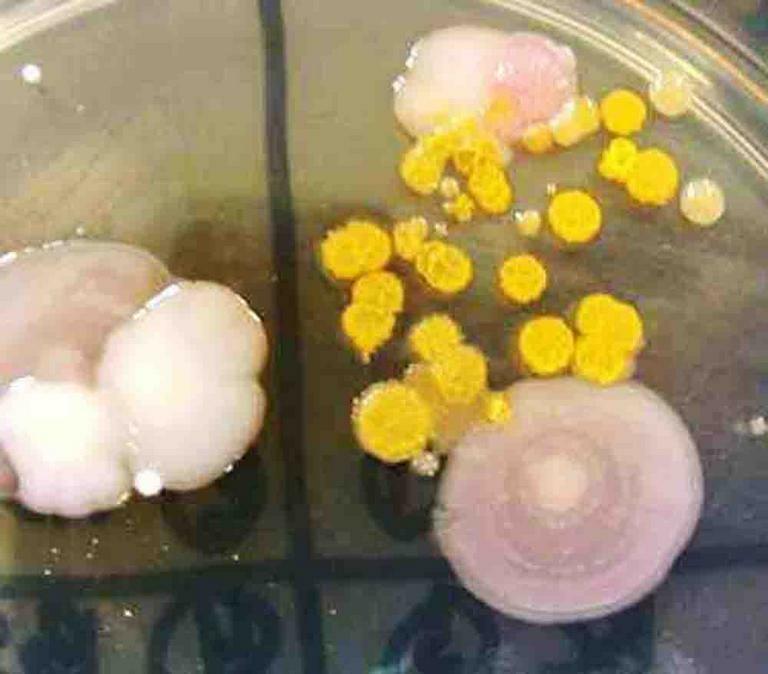 A pink colony indicates that the bacteria eat the sugar lactose.